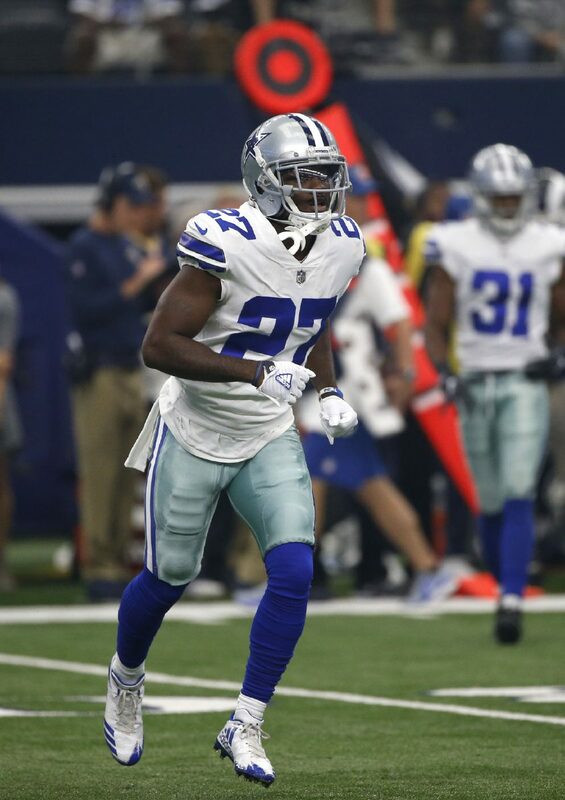 Cowboys fans were introduced to cornerback Jourdan Lewis when he played his first game with Dallas against the Denver Broncos and intercepted a mile-high pass from their quarterback. Since then, the rookie has been an impressive and valuable addition to the team. In the game against the Arizona Cardinals, he made six solo tackles. Even when the Cowboys lost to the Los Angeles Rams, Lewis played a major role in limiting wide receiver Sammy Watkins’ ability to rush and catch the ball. The Detroit native was drafted last year in the third round out of Michigan. He missed most of training camp and the preseason due to a hamstring injury. He was expected to play a corner position and struggle with tackling because of his relatively small frame, but he has defied those expectations to land the 10th spot in Pro Football Focus’ Rookie of the Year predictions for this season. Lewis, 22, was a First-Team All-American for 2015 and 2016, and First-Team All-Big Ten selection for 2015 and 2016, the Tatum-Woodson Defensive Back of the Year for 2016, and a finalist for the Jim Thorpe Award. He contributed as a true freshman at Michigan before moving up to a starting corner job during his sophomore year, and by the time he finished junior year, he was a 13-game starter with 52 tackles. His senior year in 2016 began with an injury, but he made up for it by setting the university’s single-season record of 21 pass breakups. With a 2-2 record and a laundry list of players out on injuries, the Cowboys are hopeful that rookies like Lewis will prove why they were drafted. Owner Jerry Jones said he liked Lewis’ abilities, combined with Chidobe Awuzie and Xavier Woods. Despite his 5-foot-10 stature, he has quick recovery speed and is highly competitive. He has shown a talent for coverage, run support, and open-field tackles. He has become a contender for the Cowboys’ best cornerback alongside veteran Orlando Scandrick and another 2016 draft pick, Anthony Brown. Although it is still early in his first season, his performance so far is a much-needed bright spot on the Dallas defense.